Marilou grew up poor in Oak Ridge, Tennessee, about two and a half hours away from Johnson City, where the university is located. A Sunday baked ham, she recalls, was a rare luxury. Instead, her mother would score a Spam loaf in a pretty crosshatch pattern, coat it with a brown sugar sauce, and top the Hormel product with a row of maraschino cherries. The upper-level and graduate students in my class are usually surprised when we start the class with Spam, but what Marilou says reverberates through the course. Her story illustrates a pervasive theme in this hardscrabble part of America: making do with what you have, and celebrating it. 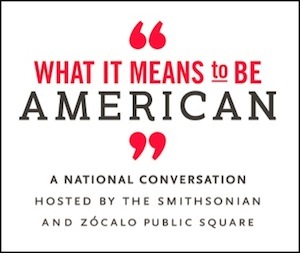 Native Americans here knew this from the start, growing corn, beans, and squash—the “three sisters”—together because of their symbiotic relationship. Corn removes nitrogen from the soil, and beans replace it. Cornstalks provide a natural trellis for the bean plants to climb on. Low-growing squash plants create shade and hold in moisture. Appalachian food has been sustainable and organic for generations. We’ve been offering “farm to table” fare forever, without ever having to say so. Sit down to many farmhouse tables in the summertime and you might conclude that the family has embraced a vegetarian diet. Sliced tomatoes still warm from the sun, corn on the cob boiled and then bathed in butter, cucumber slices bobbing in ice water, and a “mess” of green beans constitute a common meal in my part of America. One of Appalachia’s most iconic dishes, soup beans and cornbread, is a belly-filling, soul-enriching inheritance from Native Americans. These are largely home-cooked dishes, but in Johnson City, soup beans and cornbread have even made it to the drive-through at the Buc Deli. And in my hometown of Greeneville, about 30 minutes from Johnson City, Romie and Zella Mae Britt paired soup beans up with another dish that has simmered on Appalachian stoves for generations: beef stew. The result, introduced in the 1950s at the Britt family’s grill, is still served today at the restaurant’s unpretentious descendant, Bean Barn. 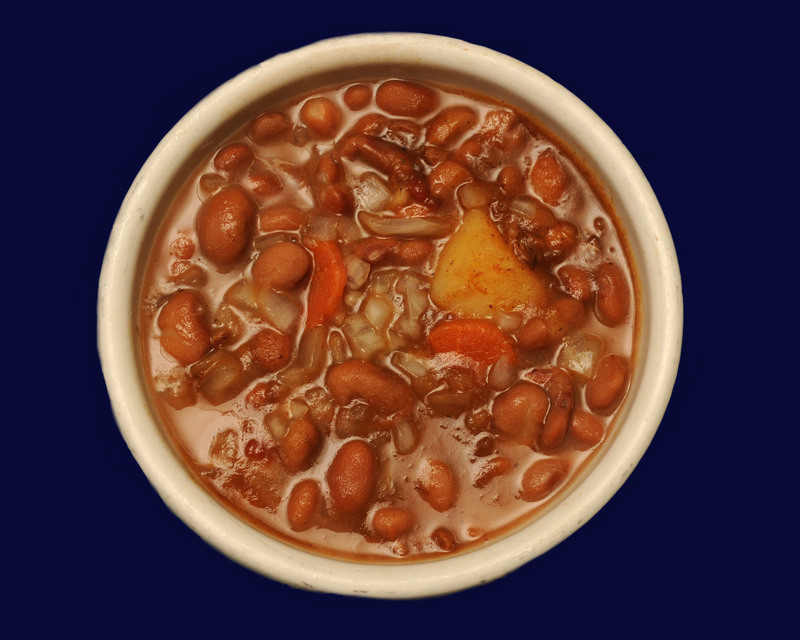 It’s called “Beans All the Way,” topped off with a scattering of chopped onions. A serving of soup beans and cornbread is a fitting culinary emblem for the Appalachian region not only for its profound simplicity, frugality, and heartiness—but also for its history. Flavoring the pot of pinto beans simmering on the Bean Barn stove is lard, the rendered fat of the pig, an animal brought to the lower South by the Spanish in the 16th century and to the upper South by the English in the 17th. In the soup bean bowl, then, the native and the imported blend in culinary harmony. The ramp is another Appalachian treasure revered by the Cherokees, who have foraged for this wild mountain leek in the springtime for generations. Because of their pungent taste, ramps were eaten in order to get the blood flowing again and to “thin” the blood after a winter of inactivity. 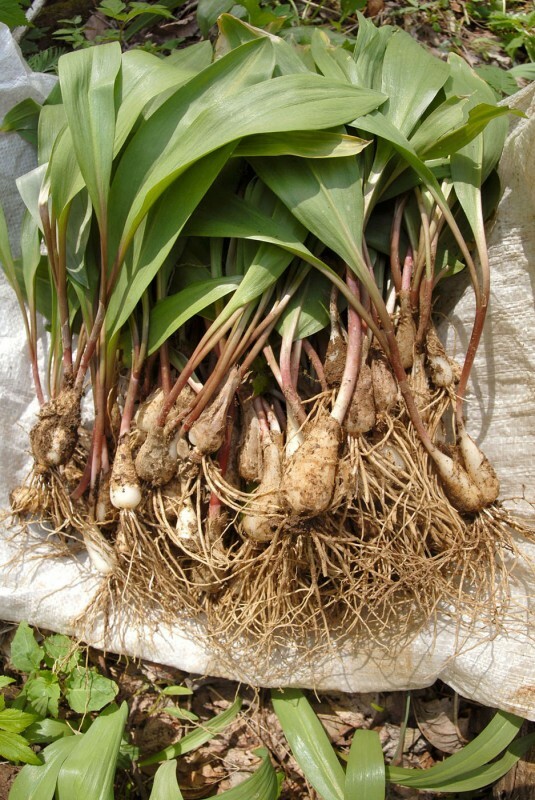 Festivals throughout the Appalachian Mountains pay tribute to ramps, and white-tablecloth chefs nationwide pay top dollar to acquire them in the spring. A “mess” of ramps, wild mountain leeks, Unicoi County, Tennessee. Indeed, the subsistence fare of Appalachia has now become chic. With today’s emphasis on organically grown, humanely raised food that travels only a short distance from the farm to the table, chefs are rediscovering the timeless wisdom of the Appalachian worldview. Done in the right spirit of honesty and respect, embellishment of mountain foodstuffs by celebrity chefs is overdue recognition that the cuisine of Appalachia matters. The flip side is the belief that if a recipe comes from Appalachia, then it must need improvement. That attitude is changing, but we have encountered it among some cookbook authors and magazine editors, who insist on changing my wife Jill’s grandmother’s dried apple stack cake recipe, despite the fact that it has satisfied diners in the mountains of southwest Virginia for about 120 years and is the recipe most requested by family and friends. Editors at a well-known magazine published in the South, as well as the author of a hefty cookbook on American cuisine, refused to accept the fact that this traditional mountain recipe requires no spicing whatsoever—not even any vanilla extract. Its ingredients are simple, straightforward, and right from the farm: eggs, buttermilk, sorghum syrup, and dried apples, with a trip to the local market only for some flour. Its creation does require long labor and the patience to wait three days for it to cure before it is served. Even though author Joseph Dabney calls dried apple stack cake “the most mountain of desserts,” the labor and time involved in its making are likely the reasons this cake is rarely ever found in restaurants. 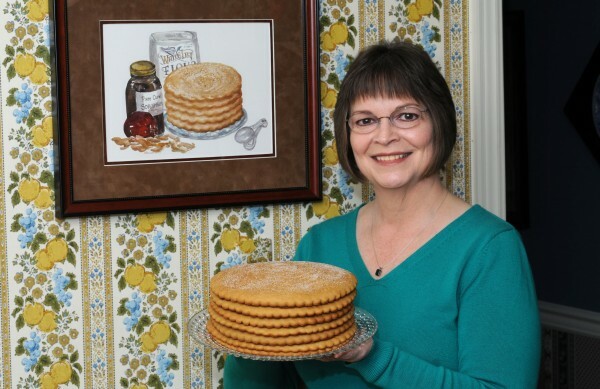 Jill Sauceman with her traditional dried apple stack cake. She inherited the recipe from her grandmother, Nevada Parker Derting, who lived in Scott County, Virginia. The watercolor painting of the stack cake on the wall was done by Nancy Jane Earnest. Only recently has the cake gotten some respect for what it is. Cookbook author Nathalie Dupree chose to include the original, spiceless recipe in her 2013 book Mastering the Art of Southern Cooking. And we often wonder what Jill’s grandmother would think if she saw the story about her simple mountain cake in an august volume like the forthcoming Oxford Companion to Sweets. Through readings, essays, discussion, and of course eating our way across the Appalachian table in our foodways class, we learn this about how we nourish ourselves: The most precious ingredient in Appalachian cookery is time. Time to plant and nurture seeds of corn and beans. Time to cultivate fields of cane through spring, summer, and fall, and boil down the juice over a hot fire in October to produce the precious thick sweetness of sorghum syrup. Time to cure a pig and wait more than a year for the reward of country ham. Time to learn from a grandmother and perpetuate her traditions. Fred Sauceman’s latest book is Buttermilk and Bible Burgers: More Stories from the Kitchens of Appalachia. *Lead photo courtesy of Charles Warden. Interior photos by Larry Smith.